Digital marketing is quickly evolving into a necessity and most business ventures are aware that it’s a powerful tool for keeping them competitive! Imagine this, you innocently sneak a dash of sleaziness into your sales copy. It creeps and crawls into those brochures of yours because you cannot find the right killer words. Well, when it comes to your marketing strategy, nothing takes center stage quite like a powerful sales copy. So, it is time to consider eradicating that marketing prattle and craft a sales copy that sells. The strategy in this article will teach you how to effortlessly checkmate your business competition! So get up—make the right move and be a copywriting grandmaster within a month. 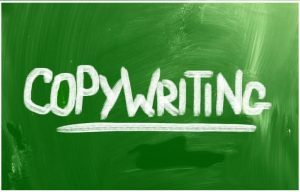 These 10 copywriting tips will help you master the art of delivering your message with impact like a pro. 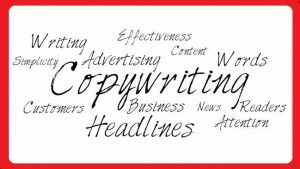 Apply these tips and instantly create an enthralling, persuasive, and converting sales copy. Don’t self-indulge. Don’t let your marketing message become drivel with our “company” “our product”. It is not all about the company or product. It’s about your customers, their problems, and the solutions you have in store for them. So, address the problems with the right benefits in your products. Good: Web copy that snags, compels, and converts. Order now and let your brand do the talking. Using words such as “hundreds”, “millions”, or “billions” of something may look more specific. However, on the flip side, they portray one thing: The marketer is exaggerating or overhyping the truth. The secret: Consider unleashing specific numbers—it draws attention and enhances credibility. Claptrap: Millions of startups have used our accounting tool to boost efficiency and save time. Of course, subtleties, graciousness, and politeness are considered great in the marketing sphere. But including a subtle call-to-action will only give potential customers justification not to heed to your call. And a call-to-action that starts with “if” is the surest way of giving your potential clients a big excuse. So, why not consider being bossy. Tell people what you are looking for and expecting from them, right into their face—like a boss. Too polite: If you would like to write like a pro, just enter your email and hit join now. Don’t join the bandwagon of marketers who add adjectives to sentences whenever they lack a thing to say. This trend will only make readers/potential customers think ok, yeah, what hokum, or even doze off. Mumbo jumbo: This tranquil, loving collection of stunning cookware will never disappoint. It’s complete with a classic design that is perfect for any kitchen. Better: This cookware collection’s classic look will suit all kitchen styles. Good: Showcase your cookware’s pictures. Or tell them who inspired the actual design. If you want them to buy into your idea, give them a reason. For instance, if you are dealing with CBD oil, show them how your product is going to make them happier and healthier. Dig into the complications your product will cure. Not Good: Purchase our CBD oil today! Be specific. Know what your customers really want. Stay away from fake benefits. Nail the benefits your customers want. Let your thinking take the route of making money, becoming richer, leading a healthier life, feeling more loved, etc. If you didn’t know how to spot crappy phrases in your sales copy, here is how. Read your sales copy load and try to answer this question: what does this sentence actually mean? And if no meaningful answer pops up, “cut”, “rephrase”, or “replace” it until you get a concrete and meaningful text. 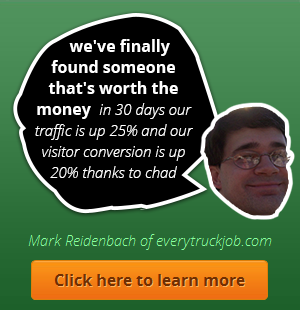 Crappy: Our state-of-the-art widgets are powerful at increasing your email sign-ups. You Thought Exclamation Marks Are Seductive? Think Again. You want to sound like a lazy or sleazy salesperson? Well, try exclamation marks. But if you want your sales copy to look real, stay away from exclamation marks by all means. That is it. Common superlatives such as the “best” or the “easiest” will only make you sound more insincere. Golden tip: You should consider using superlatives if only you are in a position of proving why you are the finest or best. Superlative sin: We offer the quickest TV repair service in town. Good: Get your TV repaired in 4 hours or obtain a 10% discount. Let’s face it; most startups have their testimonials written by marketers—who know how to use sugar-coated words to exhibit how great, amazing, as well as super-good a product is. And the tragedy is that most customers don’t believe these heavenly testimonials. Nobody believes sugar-coated stuff like: Dennis is one of the best copywriters I have worked with. He is highly recommended. Good: At first, I had doubts about hiring Dennis for our copywriting task. His ideas looked completely crazy and he’s not even a marketing graduate. However, he wrote a wonderful copy for our business that went on to win more clients. Creative and exciting to work with. 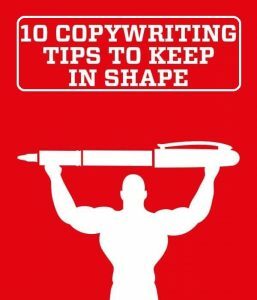 Your copy should snag, compel, and covert. Remember, it is not just about creating a sales copy. It’s how you do it. Your company doesn’t just need a sales copy. It needs wizardly wordplay powered by premium copywriting techniques featuring the magic that will only lure more clients and keep them undeniably spellbound. With every word, your clients will be more convinced knowing that your product offering is about to turn their wildest craving into an instant reality.